Jorge Leon was removed at an A’s game last year for holding a sign that read “Wolff lied, he never tried” to protest the move. Reporter Evan Wagstaff sat down with Leon to ask what he’s done since then to keep the team in Oakland. After studying a recent New York Times interactive that offered readers a way to try different cuts and tax increases to decrease the national budget deficit, Oakland North decided to do the same—but on a smaller scale, focusing only on Oakland. Our interactive gives Oaklanders a way to try grappling with the city’s budget deficit themselves. A week before Thanksgiving, Spice Monkey Café and Restaurant co-owner Kanitha Matoury had been worried that food donations would fall short of her 1,000 pound goal. The restaurant, located at 1628 Webster Street, hosts one of several food drives in downtown Oakland aimed at stocking the food pantries, soup kitchens, and senior centers served by the Alameda County Community Food Bank. As of Wednesday morning, eight days after Oakland voters went to the polls to select their new mayor from among a field of ten candidates, there is still no new information about the outcome of the city’s first-ranked choice election, according to officials at the Alameda County Registrar of Voters. The final tally remains unknown with no indication of when the results will be certified. Oakland mayoral candidate Jean Quan overtook fellow candidate Don Perata this afternoon in the computer-run calculation of second and third-choice votes in Oakland’s new ranked-choice voting system. Although several thousand votes remain uncounted, Quan said she’s “feeling very good” about the latest results. At 4 p.m. Friday afternoon, the vote for Oakland’s mayor will head to a runoff vote count, determining whether front-runner Don Perata will maintain his lead, or if trailing contenders Jean Quan, Rebecca Kaplan or Joe Tuman will be able to catch up. Former Oakland mayor and leading gubernatorial candidate Jerry Brown held a rally Monday at Oakland’s Jack London Square, making a final push toward a return to the state’s top political position. Brown was joined on stage by Sen. Barbara Boxer and San Francisco district attorney Harris, who is running for state attorney general. Brown, who was California’s governor from 1975 to 1983, leads Republican candidate Meg Whitman by a considerable margin in the latest polls. 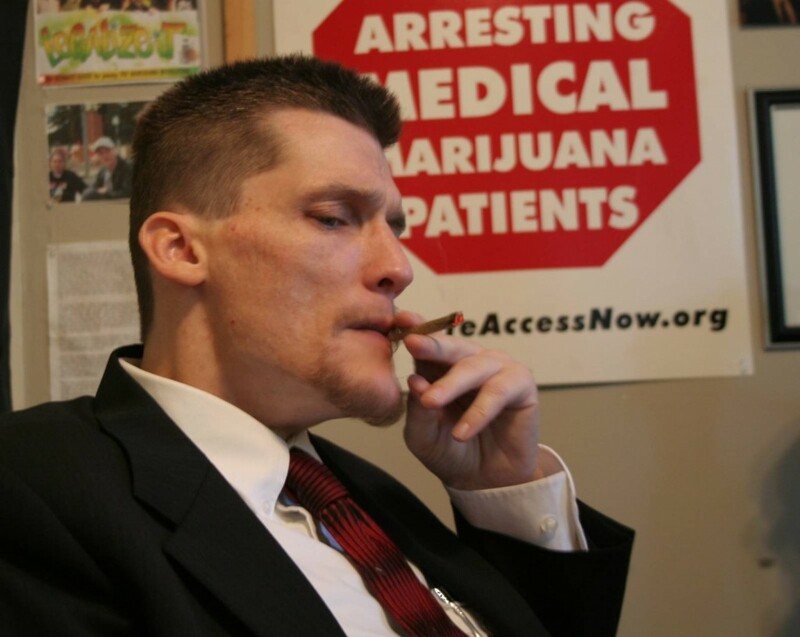 As a medical marijuana patient, Ryan Landers relies on the drug to stomach a single meal each day. Despite his support of previous landmark legislation, Landers has taken a stand against Proposition 19, on the state ballot next Tuesday, which would legalize several marijuana related activities. Proposition 19, on the ballot this coming Tuesday would legalize several marijuana-related activities statewide, allowing for taxation and regulation of the drug. To better understand where the law would fit in California history, scroll over some dates from the timeline below for a short history of cannabis, locally and nationally. In anticipation of the 2010 election, Oakland North asked the 10 candidates for Oakland mayor two questions: what distinguishes you from the other nine hopefuls and what would your top two priorities be as the city’s next mayor? Don’t Ask, Don’t Tell, the policy that forbids gays from serving openly in the military, is now being enforced again, after a federal appellate court granted the Justice Department’s request to keep the policy in place while a case challenging its constitutionality is being decided.